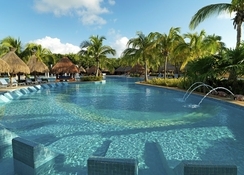 Iberostar Paraiso del Mar is a 5-star all inclusive resort complex situated on one of the best shorelines in Playa Paraiso, along Mexico's breathtaking Mayan Riviera. This colonial-style resort impresses with its grand décor, which is best appreciated throughout its 388 comfortable and classy rooms. The facilities at this hotel are first-class, with a long swimming pool, a PADI Certified Diving Centre, 18-hole golf course, a gym, Spa Sensations, and a plethora of fun-loving watersports available for all the family to enjoy. Iberostar Paraiso del Mar boasts four speciality restaurants serving decadent cuisine oozing the authentic flavours of Mexico, plus a selection of snack bars keep guests ticking over until tea time. 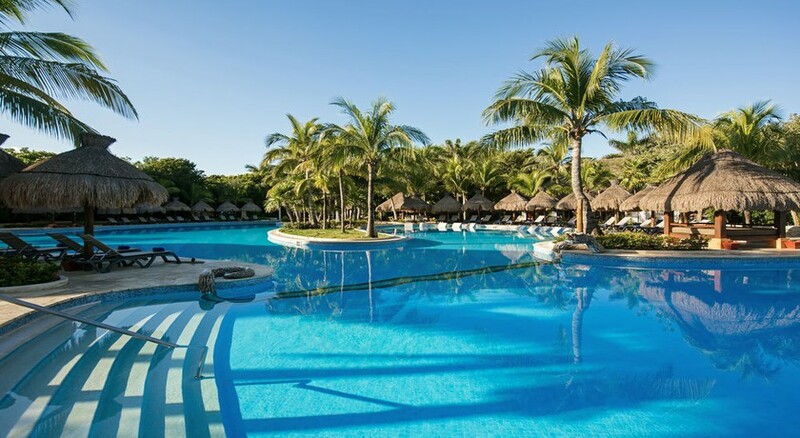 After its remodelling back in December 2011, Iberostar Paraiso del Mar has been receiving honours, including the esteemed AAA Four Diamond Award, for its quality and administration. Located opposite an idyllic beach within a large tourist complex, Iberostar Paraíso del Mar is flanked by the natural beauty of the Riviera Maya offering tranquil surroundings to all guests. 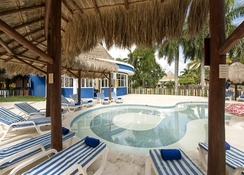 The hotel is 16km from Puerto Morelos, 17km from Croco Cun Zoo, 50km from Downtown Cancun and 29km from the Xoximilco theme park - so guests will be spoilt for choice when it comes to activities. The bustling resort town of Playa del Carmen is 21km from the hotel. 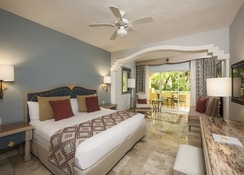 Iberostar Paraíso del Mar hosts a variety of guest rooms suitable to all visitors, finished with chic decor and modern amenities. The hotel has a total of 388 guestrooms incorporating 162 Double Rooms, 162 King Suites, 60 Junior Suites, and 4 Presidential Suites. The greater parts of their rooms are elegantly enhanced with the best subtle elements in exemplary styles. The culinary specialties prepared at the Iberostar Paraíso del Mar Hotel are an experience for all. There is a generous selection of quality buffet and à la carte restaurants serving specialties from Mexican fare to International cuisine. The El Faro restaurant offers buffet lunch with traditional Mexican dishes and fine cuts of meat, where guests can also enjoy an à la carte meal. 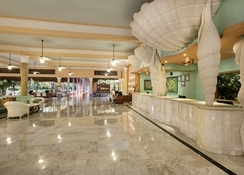 Bars at the hotel include Bar del Teatro, Lobby Bar La Cúpula, Pool Bar La Perla and more. Sporting enthusiasts will appreciate the hotels extensive list of leisure and sport offerings including scuba diving - a popular pastime in Cancun. 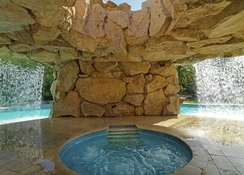 Guests can relax by the large pool surrounded by lounge chairs, head to the gym and fitness centre, join in activities or tee off in style at the 18-hole golf course.